Finding a bodybuilding workout that actually works is no easy feat. Most times we end up having to endure long weeks of rigorous workout routines and dieting with little or nothing to show for the herculean efforts we put in. We’ll be taking a look at the top five bodybuilder workouts that will get you shredded and fit in no time! After taking a stance in front of the barbell, start off with bending down by pushing your hips backward. Your torso will now be hinged at your waist if you performed the previous step correctly. With the barbell in front of you, place your fingers facing the direction of your legs. While doing this try as much as possible to avoid your shoulders dropping forward. After which you lift the barbell up while inhaling then exhaling, and make sure that to pull your shoulder blades together. Now gently lower the barbell down, and repeat the process from the start. Spread your feet in such a way it is aligned with your shoulders. Lift up the dumbbell above your shoulders, with your elbows not to spread from your sides rather have them close and bent. During the exercise inhale deeply while sitting your back in a squat; also it’s paramount you keep your chest level high. Then you return to a standing position while exhaling. After sitting on the Swiss ball, place the dumbbells on your thighs. Move your body upward with your upper back having contact with the ball. After your feet and your knees form a right angle (90 degrees) bend, you assume the chest-press position with the dumbbells. Now raise your elbows a little to your sides then while avoiding the sagging of your hips, breath in then out and lift the dumbbells with your arms above your chest. After which you place your arms and dumbbells down while inhaling. Hold the dumbbells to your sides, then keep one foot higher than the other preferably by following it on the bench. Then slowly perform a lean towards your front leg while inhaling and positioning your leg to form a right angle. Now straighten the leg while pushing towards it. Lift the dumbbells to just about level with your head, while keeping a 90 degrees angle at your elbows and your fingers facing forward. Now raise it above your head and bring them down again. Fitness and nutrition are both critical parts of building a muscular body but adding premium supplements can boost your results. There are tons of supplements on the market, and it can be overwhelming to choose the best. 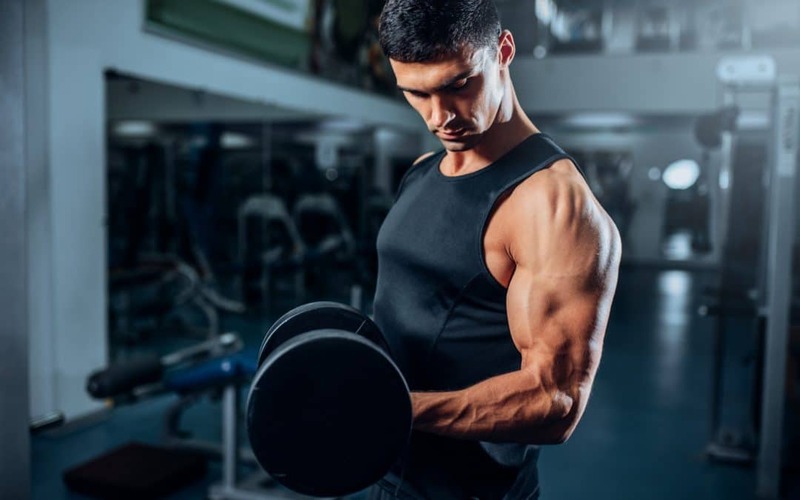 CrazyMass has been a top leader in the bodybuilding supplement market since 2006, and we know what it takes to build muscle. All of our products are made from high-quality natural ingredients for safe and effective strength and muscle gains in the gym. Get ready to shred fat, get cut, and bulk up to achieve that dream body!